So I was completely fed up with tripping over extension cords and spending almost as much time plugging in and unplugging machines as using them. 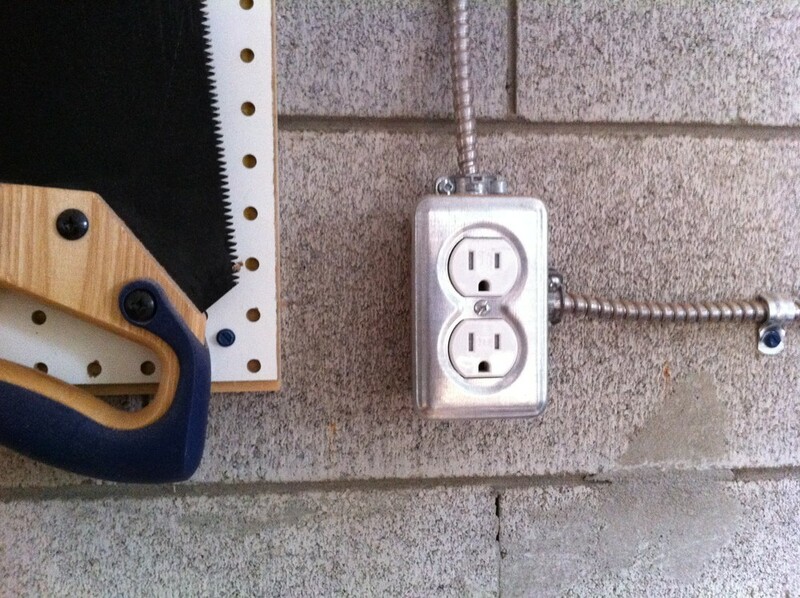 When I started, I had 2 duplex outlets on the same circuit as the lights in my space. I put up with that for quite a while, but I reached the tipping point when I was milling the rough lumber for my workbench top, pushing my little 6″ jointer perhaps a bit too hard and I started tripping my breaker. Unfortunately, this meant I found myself standing in a dark room with various machine switches still in their “ON” positions. Not a good thing. Now … I figured that that advice was a bit excessive for my situation. In particular, I decided that I wasn’t going to do the sub-panel. The main motivation for this well-meaning advice is quite sound – they’re telling us to plan for the future, and I’m sure it’s a sentiment that comes from experience. So when I looked at the problem a bit more scientifically, I realized that all I need in order to accomplish this is two new circuits. If you haven’t priced out 8/3 cable lately, which is what you’d likely need for a sub-panel, make sure you do before you decide to put one in. It worked out to be vastly less expensive for me to run a separate smaller cable for each circuit than to put in the sub-panel. 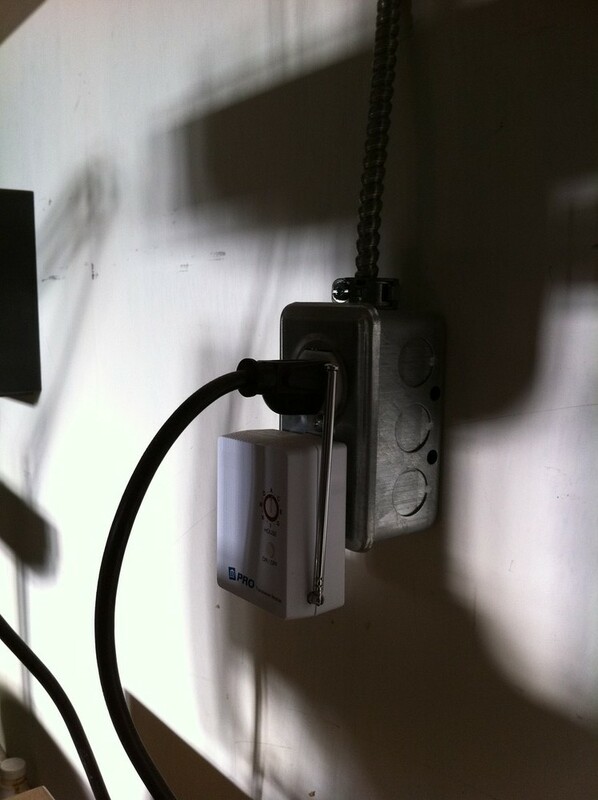 The dust collector got a 20 amp dedicated circuit with a T-slot receptacle. I was going to do an ordinary 15 amp circuit for it, but the inspector preferred 20 amps because the machine’s rating was the full 15 amps. I added outlets strategically located near focal points for my different machines. The idea there is that this is the “main” working circuit. 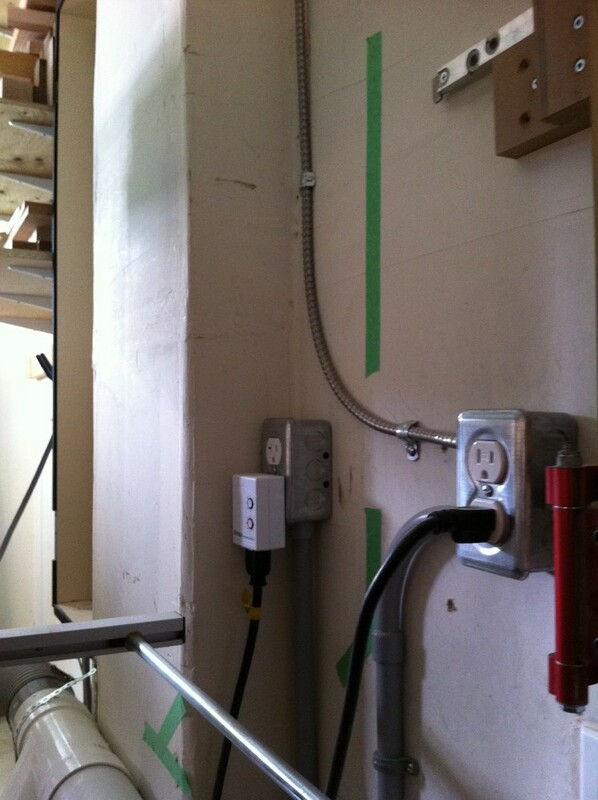 All the wires, with the exception of the entry point from the basement into the garage are surface mounted 14/2 AC90 armoured cable. Forum wisdom on this subject is to at minimum do 14/3 wire with split receptacles, preferably 12/3 for the greater amperage . In retrospect, yes, split receptacles would have been better, but I’m not absolutely convinced it’d be better enough to justify the additional cost, and for some of my boxes, I was pushing the box-fill limits anyway. When it came time to get the inspection, I learned that recent changes to the local electrical code meant that all my outlets needed to be “tamper resistant”. Failing an inspection is an unfortunate and expensive way to learn that you’re using a very slightly out of date version of the book. Hopefully I can save somebody this trouble by recommending that whatever book you study from, make sure you have the most recent copy! 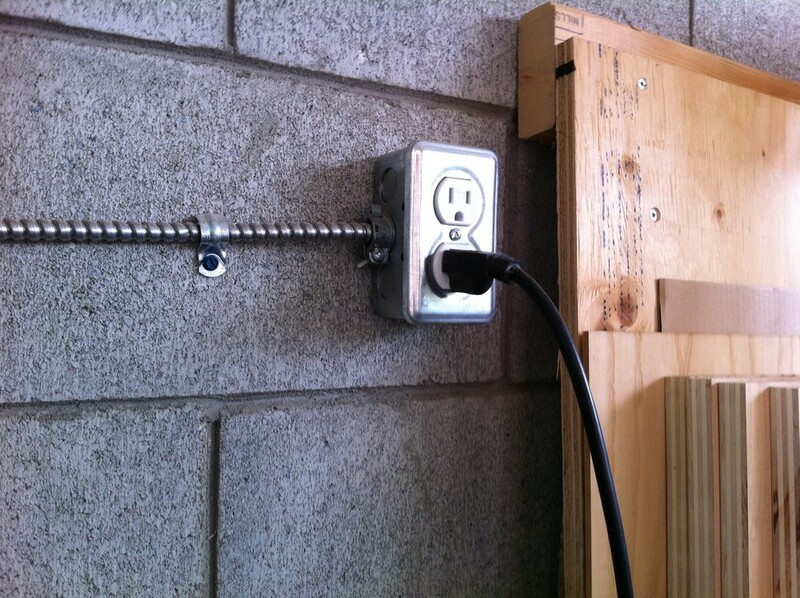 Personally, I used “Ontario Electrical Code Simplified” by P.S. Knight, which I found highly recommended around the web. They have localized versions for many Canadian jurisdictions, and I found it at my local library. I have my dust collector stuffed in a corner as out of the way as I can manage. To avoid having to either walk over to it every time I want to start a machine or having to put up with the noise of just leaving it on the whole time I’m working, I decided to get a remote control. I talked with Greg at All In One Wood Tools in Mississauga and he tells me that a lot of his customers are happy with X10-based remote controls. I compared this with some infrared remote based systems, and while I’ve been quite happy with the infrared remote on my ambient air cleaner, I decided to go with the X10 package he’s selling. The price was right, and the radio-based remote control doesn’t require line of sight to work. I have been extremely satisfied with this setup. In fact, for those who have an ambient air cleaner that doesn’t have a remote control, I’d recommend it even more – the remote control actually has two channels. All you’d need to add to control your ambient air cleaner would be another device controller. This entry was posted in Home Improvement, Shop, Woodworking. Bookmark the permalink.